As I mentioned in last week’s post, it is the amount of focus we bring to the transitions we make within a yoga practice that determine how ‘in the zone’ we can become on the mat. Being aware and present for one posture takes focus, but being aware and present as you move from one posture to the next requires a mind that is completely collected and concentrated, otherwise known as ‘Dharana’. Dharana is one of the 8 Limbs of Patanjali’s Yoga sutras, and it translates as ‘concentration’, or ‘to hold firmly’. The root word ‘Dhri’ meaning ‘to hold, carry or maintain’ implies that the state of Dharana is one which we intend to hold onto, for it could easily be lost…. Dharana, or ‘deep concentration’ is what most of us are doing when we say we’re ‘meditating’. The next step after Dharana is Dhyana, or ‘medititive absorbtion’. When we encounter this state, ‘we’ are no longer ‘doing’ anything, we become absorbed. The mind and all of its chatter is no longer and we don’t even realise that we’re a self in a body, let along that ‘we’ are ‘meditating’. Dhyana comes just before Samadhi; ‘bliss’ or ‘enlightenment’, so it’s probably fair to say that when a lot of us are ‘meditating’, what we’re actually doing is ‘concentrating’. Concentrate for long enough though, and with practice you will find yourself spontaneuously in that state of meditative absorbtion, in which we become completely unaware of what or who is around us, and we seemingly join together with the object of concentration. (The object could literally be an object you meditate upon, the image of a deity, a feeling, a mantra, a word or the breath). When we move in an asana practice, the ability to be completely absorbed in the moment requires us to have this high level of concentration with – and between – each movement. If we can truly concentrate this much on each movement and each moment, we bring ourselves into the moment and become as ‘present’ as we possibly can, thus experiencing – rather than perceiving – life. In order to practice ‘being present’, focussing on transitions and ‘clearing the mind’ a little, we need to find something we can hold onto and concentrate on for an extended period of time… which is where the ‘4 Parts of the Breath’ comes in. 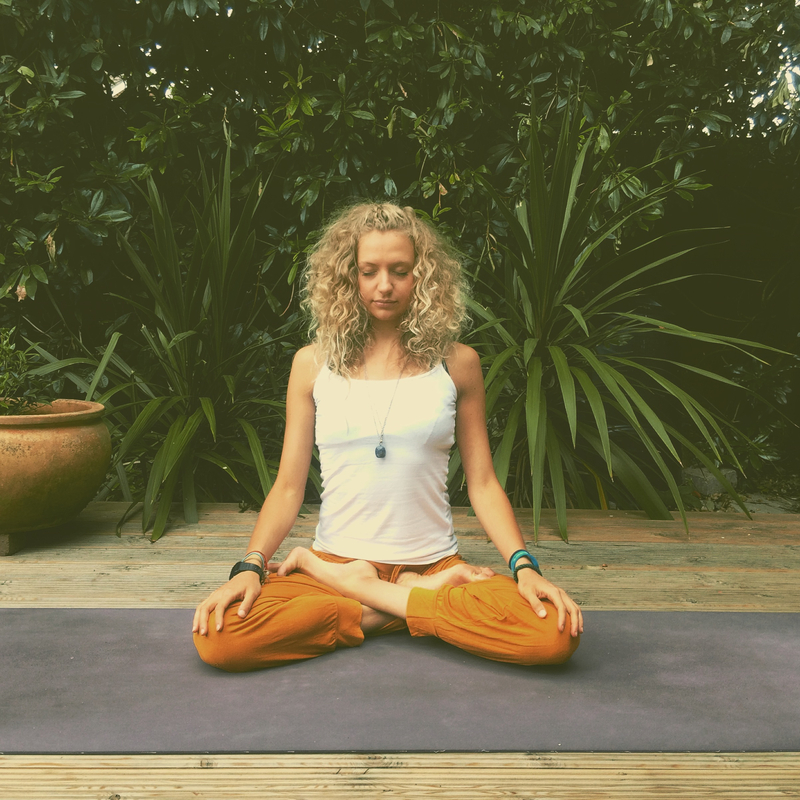 In a recent workshop in London with a fantastic US teacher, the fact that there are ‘4 parts to each breath’ – the inhale, the pause, the exhale and the pause was briefly mentioned, yet it was something that stayed with me for the whole practice, and for days afterward. Personally, I found that using this breath technique allowed me to extend the length of each breath and pay full attention to it. In a Yoga practice, we are often taught to stay in a posture for a particular ‘amount of breaths’. This has lead to most aspects of a Yoga practice being measured by the breath. Therefore, if the length of the breath represents the amount of time we are somewhere, then by lengthening the breath, we effectively lengthen our perception of time…. By extending the breath, we slow down each moment in time long enough to really experience it fully…. Now, this may seem a little strange, but try it for yourself and you may notice that the mind is instantly more focussed and calm. Extending the amount of time you pause between each breath an also have a very calming effect on the mind when done comfortably, and is known to greatly increase focus. Sitting in a comfortable position, with a lengthened spine and open chest, rest the hands wherever feels comfortable. Begin breathing naturally, with no sense of controlling the breath. After you have been here for a couple of minutes, begin to draw the inhale in a little slower and longer than before (it sometimes helps to count how long you are breathing in and out for). At the top of the inhale, a natural pause occurs. Pausing with the breath held in is known as Antara Kumbhaka (retention upon inhalation). Pay attention to the pause before you exhale. Exhale evenly out of the nose (there should be no force or strain) and at the end of the exhale, again pause. The pause at the end of the exhale is known as Bahya Kumbhaka. Continue this for approximately 5-15 minutes, lengthening the pause (or kumbhaka) between each breath as much as is comfortable. Practice this pranayama (breathing technique) daily for 1 week, and notice if it effects your focus, concentration, calmness and ability to ‘be present’ on and off the mat. This practice is also known as ‘The Square Breath’ with samavritti (meaning equal breath). When practicing in this way, the sadhaka (practitioner) imagines each line of a square being drawn when breathing in and out. For example; breathing in to visualise drawing the top line, holding the breath in as you visually draw the right side of the square, exhaling to draw the line across the bottom, and holding the breath out to connect the last line of the square. You can watch a guided video of ‘The Square Breath’ with sama vritti ratio with Andrew Wrenn on Ekart Yoga HERE.